Recently married or divorced taxpayers who change their name should notify the Social Security Administration. They should also notify the SSA if a dependent’s name changed. Taxpayers need to do this so that when the taxpayer files next year, the new name on the tax return matches A mismatch between the name shown on their tax return and the SSA records can cause problems in the processing of their tax return and may even delay their tax refund. 2. Renew Individual Taxpayer Identification Numbers. Taxpayers who use an Individual Taxpayer Identification Number should check to see if their number expired in 2016 or will expire this year. If so, and they need to file a return in 2018, they should apply now to renew their ITIN to avoid certain disallowed tax credits and processing delays next year. Taxpayers who have not used their ITIN to file a federal return at least once in the last three years will see their number expire Dec. 31, 2017. Additionally, ITINs with middle digits 70, 71, 72 or 80 will also expire at the end of the year. Only taxpayers with expiring ITINs need to take any action. 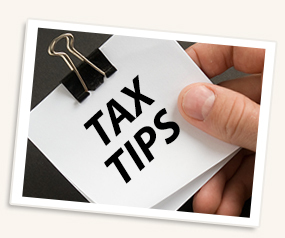 To renew an ITIN, a taxpayer must complete a Form W-7 and submit required documentation. No tax return is required when submitting an application to renew.